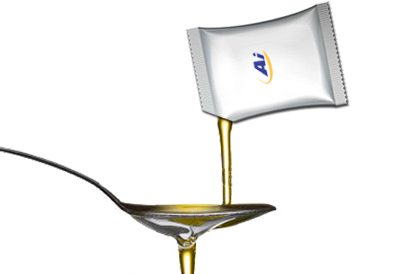 After the new rules approved for packing oil, AIPLAST offers various alternatives for packaging of oils and sauces. Made of complex material (multilayer lamination) approved for food use, the dose sachet fully meets the legal requirements, it is single use and can not fill. Besides our material ensures long product life and all the organoleptic when opening the package properties. The tub is another suitable option for the single-dose packaging and for this format, we made the cover film, with the same characteristics as for the envelope. To print your design, we have a Department of Pre-press and a highly skilled art facilities for high quality flexographic printing.